We have made it easier than ever to be and stay GLUTEN FREE! • Customize the app with 23 dietary filters. • Companion web site to help you on your Gluten Free Lifestyle. We take our motto "Foods for a Healthier You" to heart. We are the “Healthy Eating Lifestyle” company and designed our apps to help you at the grocery store and at home. Our apps focus on meeting the growing demands of many food related needs and preferences. All the apps have the same look and feel making them easy to use. Find the one that is perfect for you and your family! At first it was slightly confusing but after scrolling around for just a few minutes I was quickly able to figure everything out and it was overall simple and easy to use! This app includes gluten free options from food all the way to skin care which I found unique and helpful. I am surrounded but people who are gluten free and I know they will find this app super useful just as I have. I love that it has a variety of information and gives you different ways to search for gluten free products such as narrowing it down to the brand or category. It also has a section where you can find coupons for gluten free products! 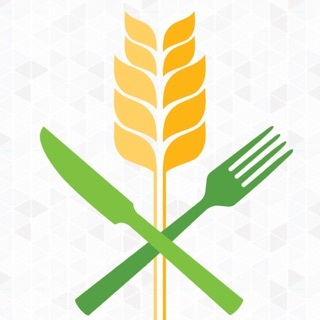 This app has a lot of information and offers a ton of options for gluten intolerant people. Great app! Heard about the app from a friend and found it helpful with my shopping for a house full of kids. This app is awesome!! 5 stars all the way!! We have celiac and my son is also DF. Love how you can filter through allergies to meet your specific needs. **Don’t pay attention to the couple people that gave it one star - clearly they don’t “get” that a GF app shouldn’t have to specifically have a GF filter. But alas, it appears the programmers have altered the app to include such a filter to help even the most tech challenged Celiacs. Thank you for this helpful app! Hi xoSASSxo, thank you for your review! We love hearing from our users and are glad you are enjoying using our app. Stay tuned for more great updates to help you be Gluten Free!